Vanguard Care is a small long-standing agency providing an individual service different to other agencies. Our professionally-qualified care manager personally conducts every assessment, designs the highly-individual care plan, and is responsible for its ongoing implementation. Carers in assignments are proactively consulted and monitored to maintain the highest level of service. Vanguard Care was first established in 1991 in Shropshire by Vanessa Woodward and her husband Captain Robert Woodward after his retirement from the Royal Navy. Prior to his retirement, Robert served on HMS Vanguard, hence the company name. After Vanessa and Robert’s retirement in 2001, the company moved to its current location in Tewkesbury, Gloucestershire. To this day, Vanguard remains a small inspirational agency providing live-in homecare in the private sector mainly for the elderly. Whilst we cover the whole of the UK and Channel Islands, we carefully restrict the number of clients to ensure that our high standards of premium service are maintained and individually tailored to clients’ needs. Many problems may arise with disability or failing health whatever our age is. Most people prefer to live in the familiar surroundings of their own home with personal possessions, families, friends and pets close at hand. Vanguard Care focuses on what clients can do rather than what they cannot do. Our care manager, office staff, and carers have many years of professional care experience working with older people. 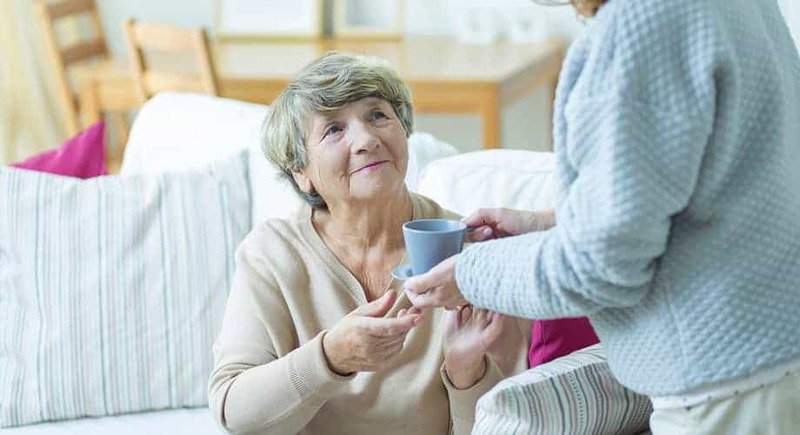 We can offer a full range of live-in services, from on-going care to a short-term service, the latter of which is ideal for respite, holiday relief or convalescence following discharge from hospital. Where long-term care is required, a rota system is operated and is usually based on a two weekly changeover of our carers, although different rota systems can be operated dependent on the needs of clients. Specialist areas: Specialises in live-in care in the private sector mainly for the elderly. Speak to one of the team today. We look for people who are passionate about care and have experience of care, which may have been gained through caring for a family member. Our carers go through a robust interview process with our Care Manager (at our office in Tewkesbury, Gloucestershire) for her to meet prospective carers personally and to enable her to decide if they have the correct skills and values that we are looking for. Professional experience is good to have but not an absolute requirement, as we often find that those who have cared for loved ones also make excellent carers with additional training and support. Carers work various rota patterns but typically two weeks on, two weeks off, as well as longer or shorter rotas. Our carers are self-employed, so are responsible for their ongoing training and for the regular updating and expansion of their skill-sets. This enables Vanguard Care to maintain the expected high standard of care available to our clients. We fully support our carers and build great relationships with all of them. We are always on the end of a telephone and offer a 24-hour emergency helpline where carers can contact us to discuss any concerns or problems that they may be experiencing during their assignments. Do you need to arrange care for a loved one? Contact Vanguard Care Today!